NE 65th is vital to the businesses, schools, and people who live, work, and play in NE Seattle. 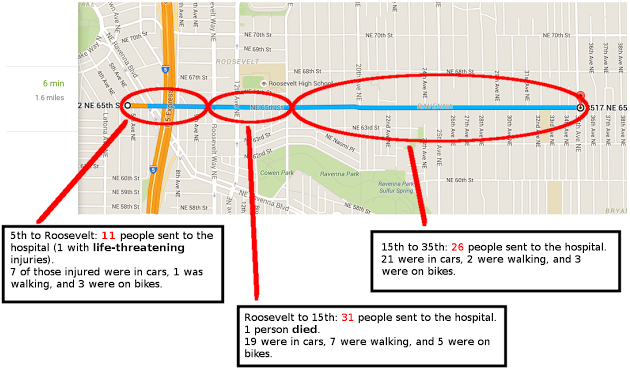 But in just the past three years, far too many people who were traveling on on NE 65th have been killed or sent to the hospital from crashes. It doesn't have to be this way. Join us in asking the city to #Fix65th. #WeCantWait for more injuries or fatalities.